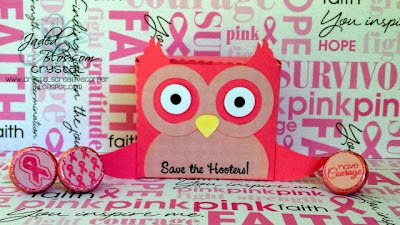 Jaded Blossom: Save the Hooters! I am excited to share with you my project for Jaded Blossom's Design Team today! As you all know, October is Breast Cancer Awareness Month. 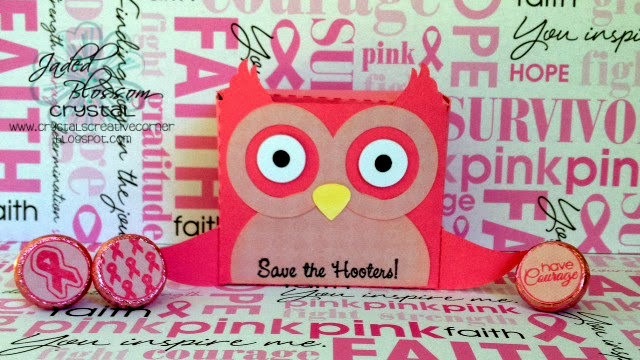 So I decided to make a cute little project to remind us all of the importance of supporting the fight against Breast Cancer! and stamped the sentiment from Jaded Blossom's Fight for a Cure stamp set. I also used the Cancer Candies 2 and Awareness Candies set for the bottoms of the Hershey Kisses. This is just to hooterrfirc!! !